The name of the owner of the Callier in later years was Dwight Cowden who at the time was Editor of the Belding Banner News. 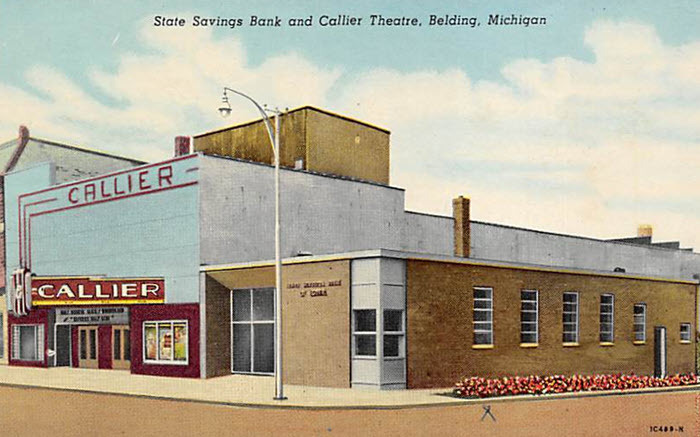 This theatre was taken over in 1969 by Dwight Cowder, owner of the Belding Banner newspaper. He re-named the theatre the Gallery. The film booker at the time was Dembeck Cinema Service.